You carry a purse to tote accessories; it's only right that your purse has an accessory of its own - especially one this beautiful and practical. 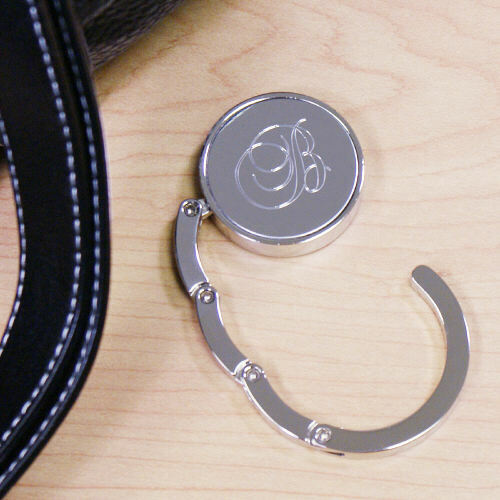 The personalized purse hanger will keep your purse clean, secure and stylish everywhere you go. Personalized Aunt gifts, sister gifts, and more, these purse hangers can't be beat. 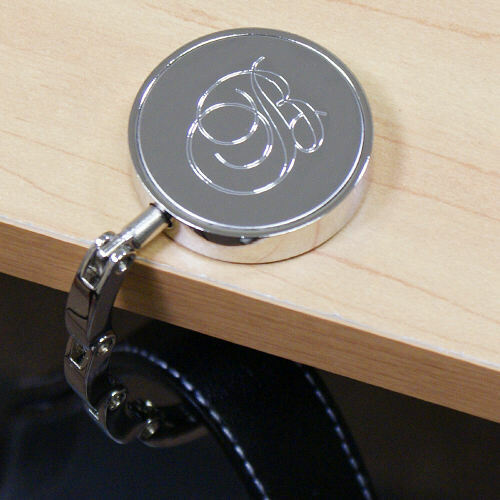 This custom purse holder extends 3" and has a substantial base, so it can accommodate even the largest purses in both size and weight. 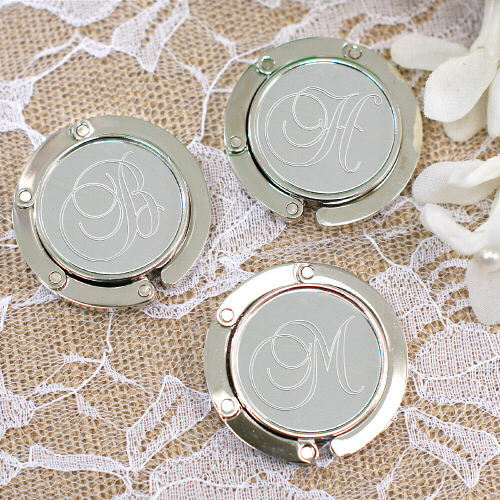 Personalize with any single initial to make a fabulous gifts for aunts, moms, or anyone else that carries a purse. College students loved this item!